Anthony Dance's 'Middle Manager Fundamentals' offers a practical, logical and realistic series of short-read books that cover every aspect of the Middle Manager role and the challenging job of managing Line Manager performance 'at a Distance'. There is a great deal of confusion surrounding the middle manager role and function within organisations. Many company Executives do not know what middle managers do, what they are meant to achieve and question if middle managers are even necessary within the organisation. Many Executives (often quite rightly) blame middle managers for holding back organisational growth by not implementing company strategy and for not taking responsibility for the lack of company success/progress when it happens. This misunderstanding of the middle management role is resulting in Executives appointing the wrong line managers into middle manager positions and then condemning them when they are not up to the job. 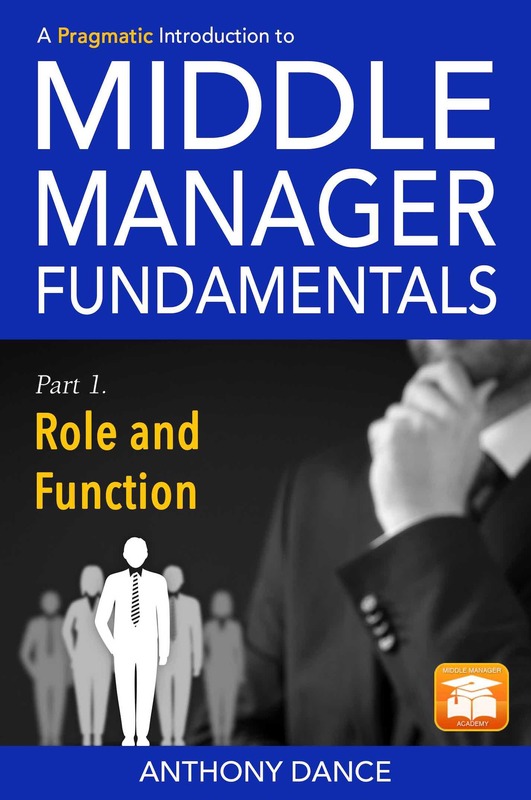 This first book in the Middle Manager Fundamentals series clearly outlines what middle managers should be doing in the job and what they are expected to achieve. It also clearly clarifies what skills, competences and personal qualities they will need, if they are to be effective in the middle management position. This long overdue clarification of the middle management role will help Executives recruit the right line managers into middle management positions, and help existing middle managers in their continuous professional development (CPD). It is also a valuable read for every line manager with aspirations for middle management. There are many experts in middle management who have never actually done the middle manager job, but Anthony is very different - he has not only held a middle manager position successfully but he has also managed a team of middle managers. Identifying a lack of relevant middle manager training and development, Anthony founded The Manager Performance Group in 1993, one of the very few management development organisations that specialises in middle manager training, development and support. Anthony passionately believes that if every Executive's mantra was 'Manager Performance is Everything' then middle managers and line managers would be more effective, and businesses would be more profitable.